Dishoom Collection 2nd weekend Sunday box office collection report: Dishoom of John Abraham and Varun Dhawan along with Jacqueline in the leading roles is doing expectational performance on the box office. Its most probably the only movie which received exactly same as expected response from fans and the audience. This year, many films of big film stars flopped. But small names groom big on the box office. With catchy song and item number with Parineeti chopra, the movie got enough popularity. Released 2 weeks ago, the film performed perfect in the north Indian market. The movie also dominated Rajnikanth’s Kabali during the 2nd week. It would be insane to compete the figures of Sultan as box office goes positive for big stars always. Varun Dhawan had done many 100 crore in his short career of less than 5 years in bollywood. John Abraham had done many 100 crore films being one of the experienced actor in the industry. John’s desi boy friend Akshay Kumar was also seen in special appearance in Dishoom. Akshay’s film Rustom will be the next awaited film on the box office. It seems that special appearance was for a chance of cross promotion. Dishoom performed exceptionally better to be the blockbuster of the year. The year was very bad for all other bollywood movies with no big names. However, Dishoom collection survived. The movie earned good 11.05 crores on the opening day, having competition with none on the box office. On the Saturday, the growth was good but not as per the expectations. With around 8% growth on Saturday, the movie minted out 12.02 crore rupees on Saturday . The Sunday was good for Dishoom. On Sunday, film earned 14.25 crore rupees, minting close to the figure of 30 crores during the first weekend itself. The weekdays performance was also good as the film was able to maintain good volumes. Average of 4 crores observed during the other 4 days of first weekend. The only bad point was seen is big drop on Friday, because of dual holiday on Saturday and Sunday. Having friendship day on Sunday, film performed better. Along with friendship day, some states also observed the festival of Naag Panchami. Bollywood films always performs better on the holidays. Despite the fact that film was released a week ago, Dishoom collection performed good on the box office. The film was able to earn around 5 crore rupees mark on the Sunday, totalling the 2nd weekend collection to 8 crore rupees in total. The movie was produced with huge values. 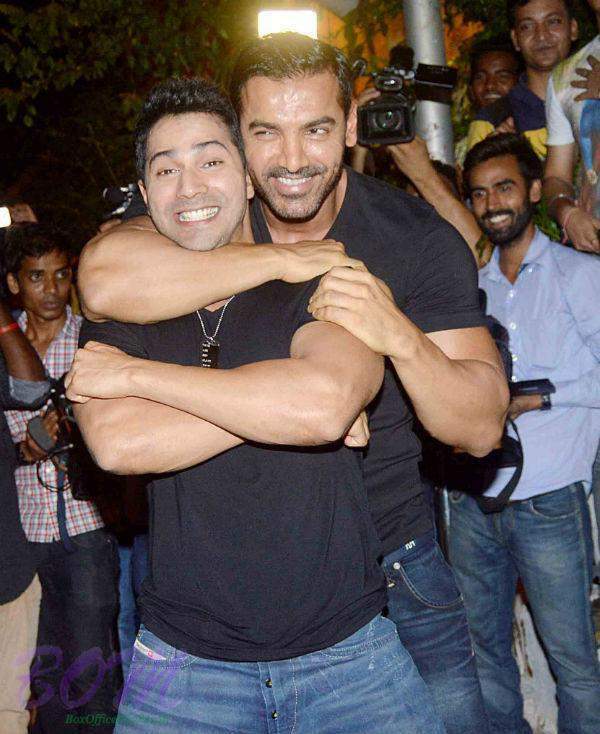 With over 55 crore rupees production budget, Dishoom had earned around 30 crore rupees profit. The figures are expected to increase as sale of rights will be included on later stage.